Time magazine award-winning photojournalist Steve Liss’s intimate, often disturbing portrait of children’s lives in juvenile detention. Juvenile crime rates have dropped dramatically since the early 1990s, yet more young people are in juvenile detention today than at any other time in America's history. Most are nonviolent offenders. Many have mental health or substance abuse problems. All have been failed by some combination of their families, schools, churches, and communities. But instead of addressing these young people's needs for treatment, rehabilitation, and basic nurturing, we lock them away in an overburdened juvenile justice system that can do little more than warehouse troubled children. This courageous work of photojournalism goes inside the system to offer an intimate, often disturbing view of children's experiences in juvenile detention. 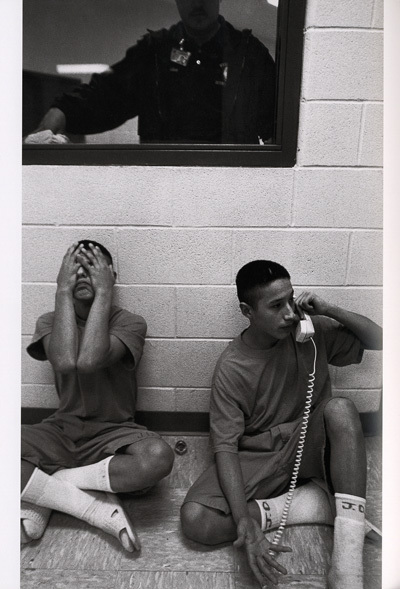 Steve Liss photographed and interviewed young detainees, their parents, and detention and probation officers in Laredo, Texas. His striking photographs reveal that these are vulnerable children—sometimes as young as ten—coping with a detention environment that most adults would find harsh. In the accompanying text, he brings in the voices of the young people who describe their already fractured lives and fragile dreams, as well as the words of their parents and juvenile justice workers who express frustration at not having more resources with which to help these kids. As Marian Wright Edelman asks in the foreword, "What does it say about us that the only thing our nation will guarantee every child is a costly jail or detention cell, while refusing them a place in Head Start or after-school child care, summer jobs, and other needed supports?" In the best tradition of photojournalism, No Place for Children is a call to action on behalf of America's at-risk youth. Steve Liss is an award-winning photographer for Time magazine, where he has worked since 1976. Forty of his photographs have appeared on the cover of Time , and he has won numerous awards from the World Press Association and the National Press Photographers' Association, including First Place: Magazine Picture Story in 1996 and First Place: Magazine Feature in 2003. In 2004, he was the recipient of the Soros Criminal Justice Journalism Fellowship for his work on No Place for Children . This place was not meant for children. This is the world of young felons, of kids gone astray, of children who cry for their mothers from behind bars. Some have skipped class too much, some have murdered in cold blood. At least half of the kids have been incarcerated before. And, if society's attempts at rehabilitation ultimately fail—or if the parent can't or simply won't do anything to turn around years of neglect and abuse—just a few more visits to juvenile detention will harden some of these kids into full-fledged adult criminals. What many Americans don't realize, however, is that these children are starved for attention, wanting to be understood and needing, urgently, to tell their stories. Throughout the country, state governments have created structures, ostensibly to protect young offenders, that are predicated on anonymity and silence. How we treat our most at-risk kids is perhaps the best-kept secret in the United States today. The community of Laredo, Texas, however, is determined to let others learn from its experience. Parents, probation officers, and youth welcomed photojournalist Steve Liss into their homes and into their detention cells. 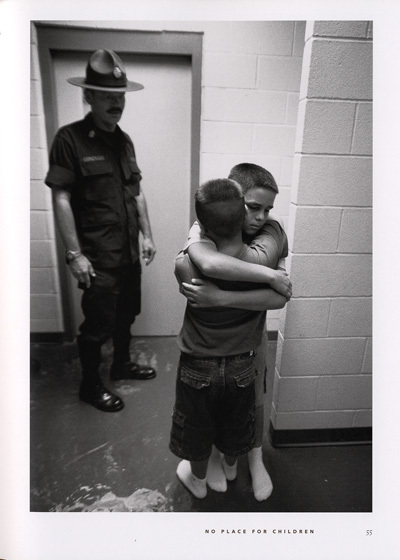 For two years, Liss, a 20-year award-winning photographer with Time magazine, chronicled Webb County's juvenile system. By building networks of trust, he was given unprecedented access to the detention facility where he photographed daily life and recorded lengthy first-person accounts of juveniles who have been pushed to the fringes of society. This story is unfolding everywhere in the United States, from the heartland to the borders. For more than a century, the mission of the nation's juvenile justice system was to rehabilitate troubled youth and give them a chance to get their lives on track. Then, in the late 1980s and early 1990s, a short-lived increase in juvenile crime caused a dramatic transformation of the system. Public opinion polls showed increased support for locking up young offenders, and state legislatures responded. Since 1992, the juvenile justice systems in 47 states and the District of Columbia have embraced incarceration and detention instead of treatment and prevention. Meanwhile, funding for rehabilitation became harder and harder to come by. "Even when the money was there, there wasn't a natural tendency to invest in rehabilitative programs," says Richard Raymond, a Texas state representative for the Laredo area. "It's still not a priority, even though studies have shown that the rate of recidivism drops dramatically if you have rehabilitation services." For instance, between 2001 and 2003, the Texas legislature eliminated almost all mental-health benefits from the Children's Health Insurance Program for juveniles who have passed through local probation programs. Moreover, there has been a fundamental disconnect between policy and reality: Although the arrest rate for violent juvenile offenses declined by 33 percent since 1993, the number of children incarcerated for lesser crimes increased. In too many communities throughout the United States, this trend continues today. Of the many troubling facts about juvenile detention, perhaps the most disturbing is that many children should not be there at all. How many of our young "criminals" are really children in distress? 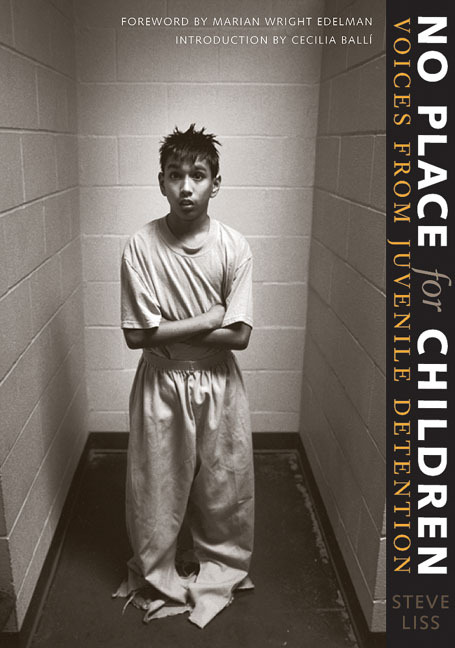 Three-quarters of children detained in the United States are being held for nonviolent offenses. Many of these children are substance abusers, and, according to the Coalition for Juvenile Justice, anywhere from 50 to 75 percent of them have some form of diagnosable mental illness. But juvenile detention was never designed to meet the treatment needs of kids with psychological and drug problems. While in detention, these troubled children receive minimal services, at best, and the effects of incarceration can be devastating. "If a child has been neglected, the last thing you want to do is put him in a cell," says Homero Sanchez, a Laredo psychiatrist who treats young patients. "It's like putting him in a closet." Kids under 12 or 13 years old are especially vulnerable. In fact, children as young as 10 are incarcerated in detention facilities, however inappropriate a jail setting may be for kids of that age. 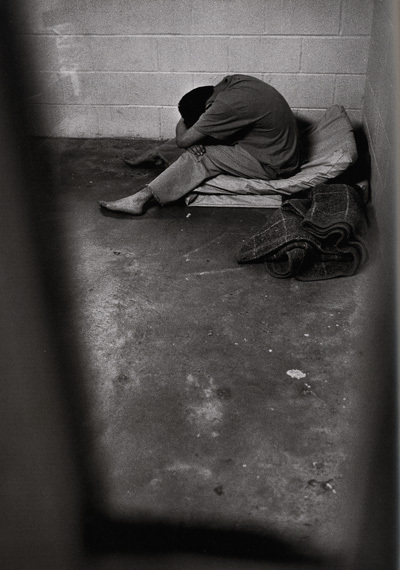 Behind the barbed-wire fence of the Webb County Juvenile Detention Center, the world loses its shape and takes on the contours of cinder-block cells with steel beds bolted to the floor. The only color is the bright orange of the uniforms that are several sizes too big for the youngest guests, some of whom are only 10 years old. Regardless of age, the system does not discriminate: Children who have shoplifted, graffitied a wall, or run away from home sit next to kids who have shot and stabbed people. Others wriggle on the floor in restraints in the next cell, screaming as they experience the symptoms of drug withdrawal in the emptiness of a jail cell. The trauma of incarceration is cause for concern for anyone interested in the well-being of young children, yet the emphasis on locking kids up seems to be based on the belief that children can be scared stiff into behaving before they even go to trial. "When I come here on Monday, Wednesday, Friday, my goal is detention, whether it's a first-timer or someone who has been here a couple of times," says Madeline Lopez, an assistant county attorney who prosecutes juvenile offenders in Webb County. "I want every kid here detained because I strongly believe that by being in here, by mixing with the kind of people that you're going to mix with back there, they'll see some type of consequence to their actions. I'd rather that they mix with those people." But that approach often backfires. Instead of learning about the consequences of their actions, first offenders try to emulate the more experienced delinquents they meet in detention. "All of a sudden you have the first-timers being trained by multiple offenders," says Adam Rodriguez, a Webb County probation officer. "Ten days later you release this kid and you've got a little monster, because he's learned how to pack a .45, how to do a drive-by and be able to abscond from the police." Politicians have found a popular platform in initiatives that are "tough" on kids and crime. When George W. Bush was elected governor of Texas, he promised "zero tolerance" and pushed through a series of laws that transformed the structure and tone of the state's juvenile justice system. In 1996, the Texas Juvenile Justice Code was rewritten to explicitly "promote the concept of punishment for criminal acts." The law introduced an inflexible series of mandatory punishments for every type of behavior problem, from running away from home to armed assault. Probation officers—and even judges—have little discretion. "A lot of the behavior that we ourselves used to do as kids has now been criminalized," says one probation officer. "Kids are going to get in fights. Kids are going to break things." The key fact overlooked by prosecutors and politicians who advocate zero-tolerance policies, however, is that children may act like adults, but they still think like children. They don't respond to punishment the same way that adults do, which means that placing a child in a locked-up facility often has unintended consequences. Instead of learning to avoid future misbehavior, first offenders try to emulate the more experienced delinquents they meet in detention. The process leaves its stigma. "Once a child's been here, he's labeled and people start making all kinds of assumptions," says Pat Campos, director of case management at the Webb County facility. After a few appearances in Juvenile, even the child begins to understand that, in the eyes of others, he is little more than a criminal. "You need to be very careful what you tell children because you don't realize how powerful your words are. If you tell a kid something that hurts him, he'll never forget that," she adds. Meanwhile, destructive emotions fester. "A lot of these kids are just angry," says probation officer Rodriguez. "Angry because there's been no attention, no love, no nourishing." "And yet, beneath their despair and anger, these young offenders are just children, many of them intelligent and likable," says photographer Liss, after spending hundreds of hours with the subjects of this book. By giving a human face to the statistics on juvenile crime, Liss hopes that his pictures will challenge everyone to see these children not as a social ill, but as a social responsibility. Reversing the trend of criminalizing youth requires visionary thinking and community-wide collaboration. Schools and churches need to educate and support parents in the complicated business of raising children. Educators need to face up to the growing problems of drug use and mental illness; they need to address these issues while they can still make a difference—in elementary schools—before children's emotional problems escalate into misbehavior or violence. Communities need to provide halfway houses and counseling for runaways, while agencies need to overcome internal squabbles and work together to create a continuum of rehabilitative care. State judicial systems need to recognize differences in the ages and needs of children. And elected officials need to make financial commitments where they count. We need to stop being afraid of our children and begin saving them. "They needed help," says Campos, the case management director, in a moment of candid reflection, "and somewhere along the line we failed these kids. We failed to educate them, we failed to educate their parents, we failed to provide for them. And all of us have to pay in the end."